The IGP ordered the CID to investigate the death of two university students at Imbulgoda Junction on September 27, 2012. 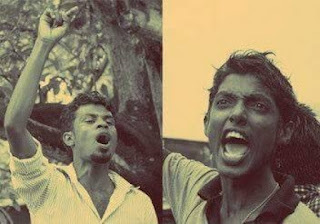 The two students, Janaka Bandara Ekanayake from Matale and Sisitha Priyankara from Colombo 15, died during a march from Kandy to Colombo by university students, demanding 6 percent of GDP for education. At the time, the deaths were said to be a result of an accident. Ekanayake was a student of University of Kelaniya and Priyankara was a student of the University of Ruhuna.